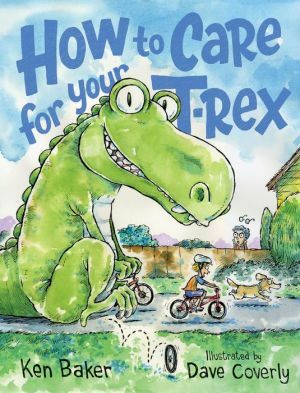 Find out how to babysit a dinosaur in this very funny read-aloud picture book. What does it like to eat? Your T-Rex will eat approximately 300 pounds of food each day. Where will it have space to exercise? Your T-Rex can cover fifteen feet in a single step. How do you brush its many teeth? Especially when those teeth are nine inches long. And, most of all, how do you show your T-Rex that you love it? Get ready for a day full of giant adventures in dinosaur care!